Bramwell bed and breakfast travel guide for romantic, historic and adventure b&b's. 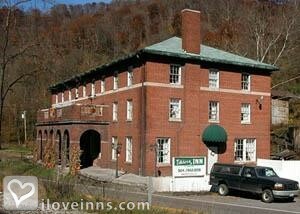 Browse through the iLoveInns.com database of Bramwell, West Virginia bed and breakfasts and country inns to find detailed listings that include room rates, special deals and area activities. You can click on the 'check rates and availability' button to contact the innkeeper. Bramwell is one of the most historic locations in the state of West Virginia. A visit to the town can provide you the sensation of being transported back in time. Many of the town's buildings were built in the 1800s and are still standing and in use everyday. Bramwell bed and breakfast inns themselves often have architectural designs that suit the town's popularity as a historic site. While visiting Bramwell, make it a point to go to the Pocahontas Exhibition Mine and Museum. Only two miles away from the town center, this museum can be a great educational experience for you and your family. Just a mile away from Bramwell is Pinnacle Rock State Park. This park has a number of hiking and biking trails that are very popular among the locals. The Freeman Memorial Bridge and the Historic Presbyterian Church are also famous sites that you should visit.